Hi all - this is my first post so please be gentle with me! 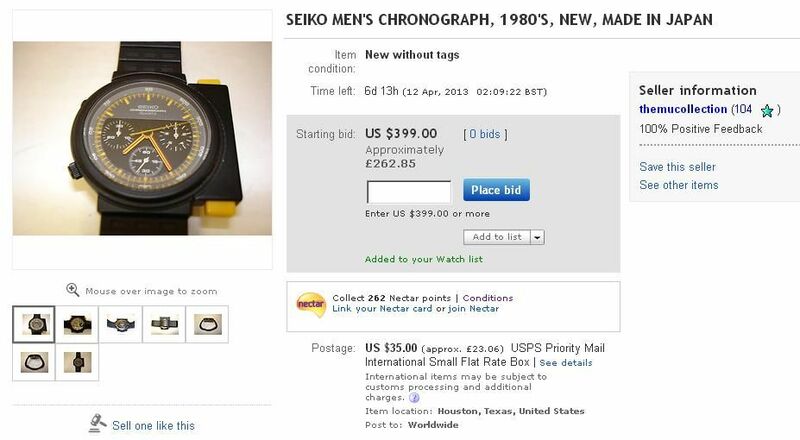 It looks pretty clean to me on the face of it (literally) but when I asked the seller in 3 different ways if the watch was actually working he turned into a politician and simply would not answer 'yes' or 'no'. 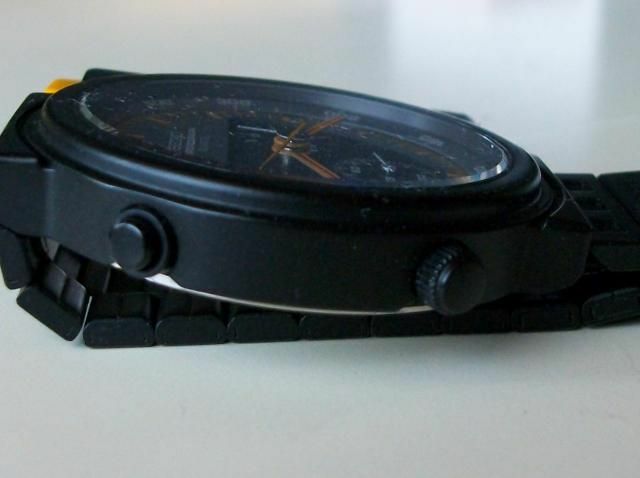 I have concluded he has avoided stating the simple fact that the watch is not working and he can't identify if it's the battery or not because he can't get the back off (and has made a fine mess of it in the process of trying). In the meantime I have no idea whether to bid at all in view of his economy with the truth! 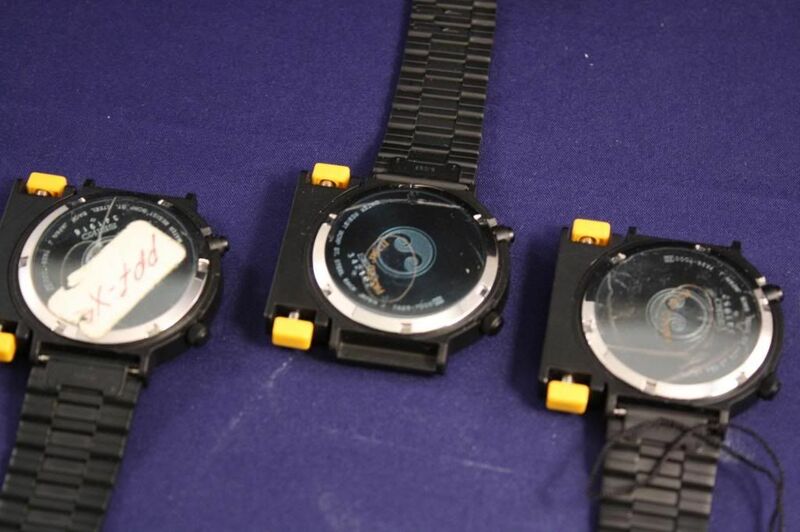 Edit: I've just realised that this is the same watch Jeff Resnick offered in the 'January Sale', being the one on the right, now relisted for bids. Well spotted, Paul ! - and a slightly belated to the fray. 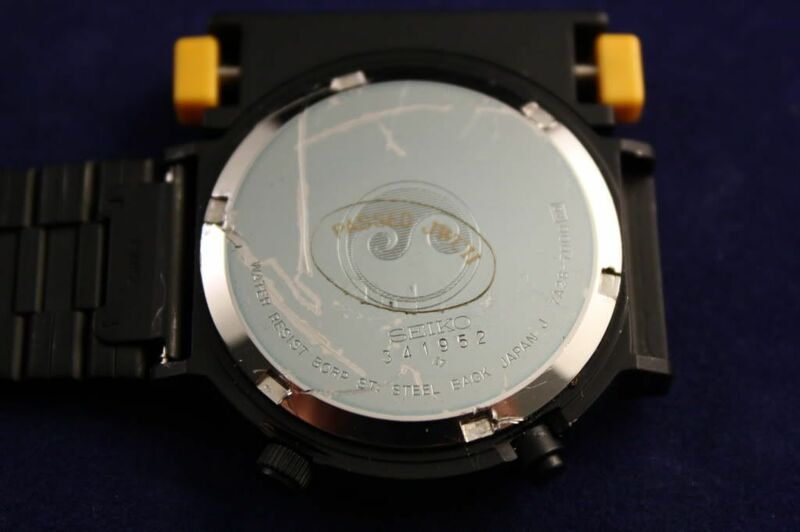 Here's two of the photos from the current eBay listing showing the same butchered case-back in close-up. As you correctly state, it would appear to be the one on the right of the original group of three. I don't think Jeff is being unduly dishonest by withholding answers of simply 'Yes' or 'No', if indeed he can't get the case-back off. 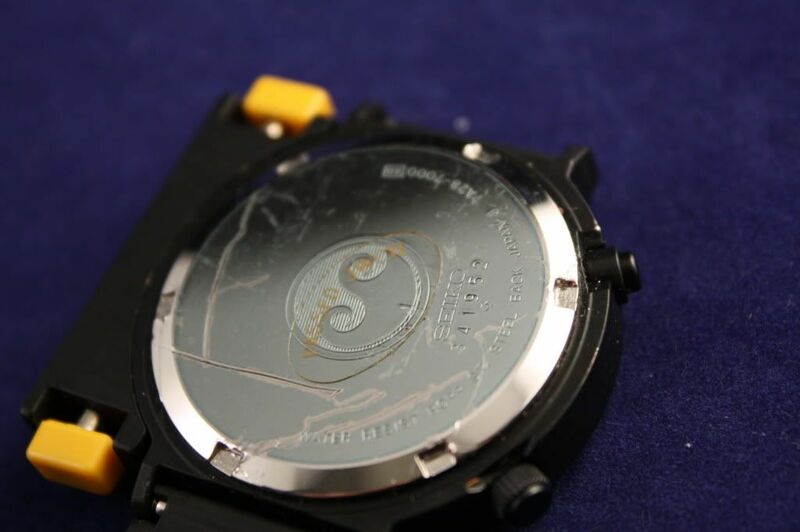 The gamble is, of course, what is the condition of the old run-down battery which has been presumably left inside for nearly 29 years, and has it done any damage to the movement ? 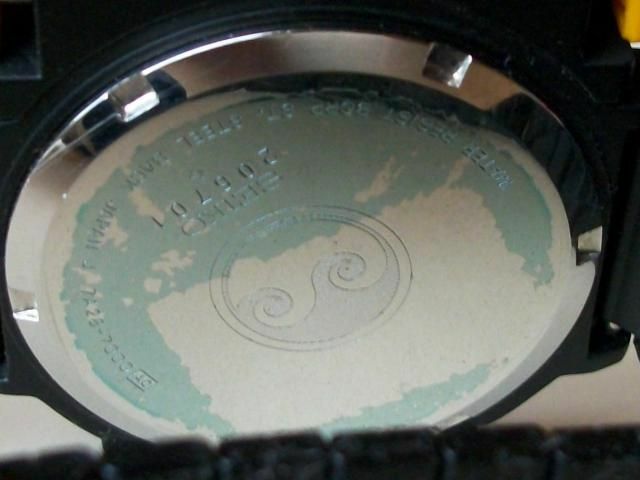 It may even be rusting of the insides of the watch which has caused the case-back to be seized on so tight. 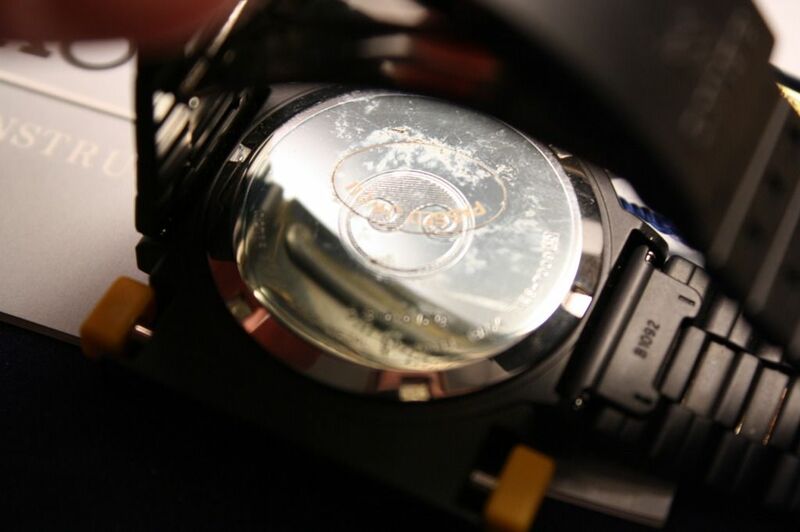 In my own experience, battery acid fumes / leakage doesn't always manifest itself in a deterioration of the dial. Pity Jeff Resnick hasn't heard about the 'aerosol freezer' trick which I use for dealing with case-backs that are screwed on murder tight. Might have saved him ruining an otherwise mint case-back. Actually, Paul - at least JR seems to have 'done the decent thing', in starting off the bidding at a mere $0.99 cents. I noticed it was already bid to over $400 within the first 24 hours, so a few people must be prepared to take the gamble. 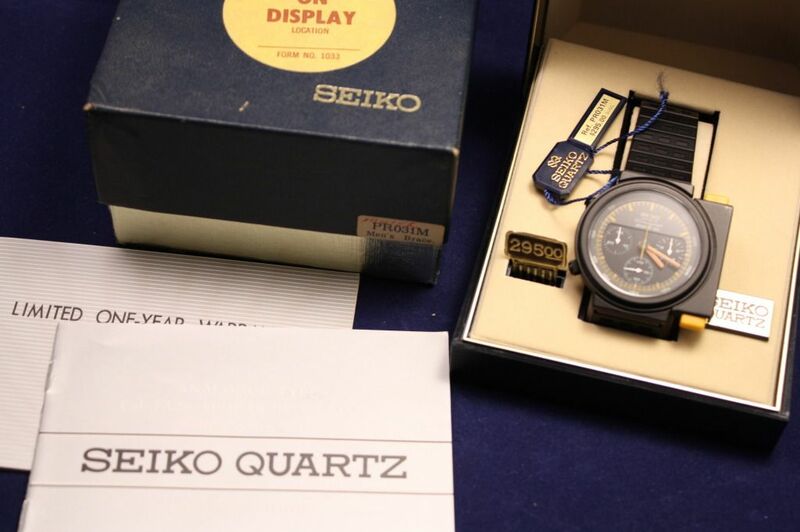 .... thankfully with a pristine case-back, but a rather optimistic opening bid price of $995.00 (approx. £627.50) ! 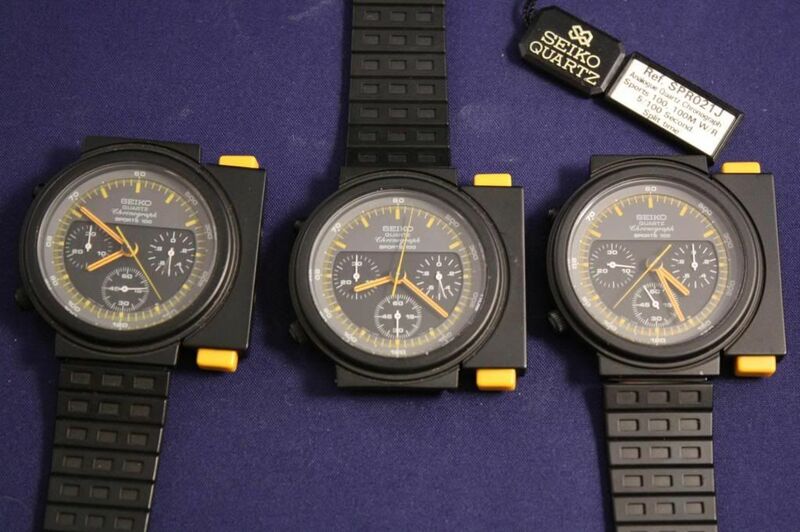 Jeff Resnick's 7A28-7000 Aliens with the stuck case-back sold on eBay last night for $867.60 (approx. £552.44) after 14 bids. Jumping by $350 in the last 5-second snipe-fest. I bet Jeff was pleased with that, especially after there were no takers in response to his reduced SCWF FS advert price of $625. 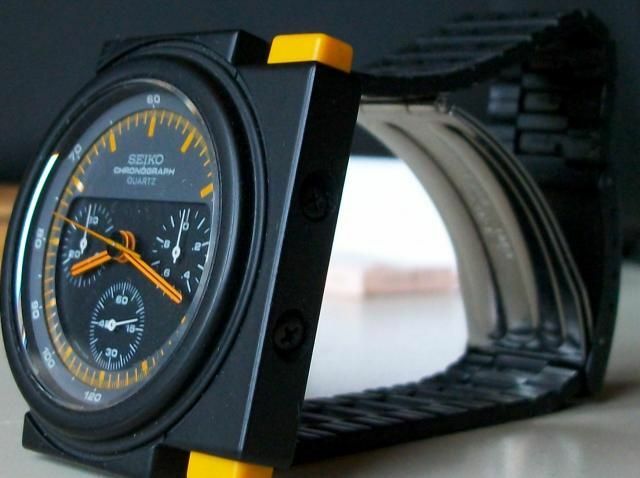 Hope the buyer has more success getting the case-back off, and that he doesn't find anything black and slimey inside. The third of JR's Aliens trio (from the original SCWF FS advert) finally sold for $709 (approx. £447.49) last night after 18 bids. http://www.thewatchsite.com/index.php/topic,27463.msg164338.html (it was the one on the left, with the paper sticker). 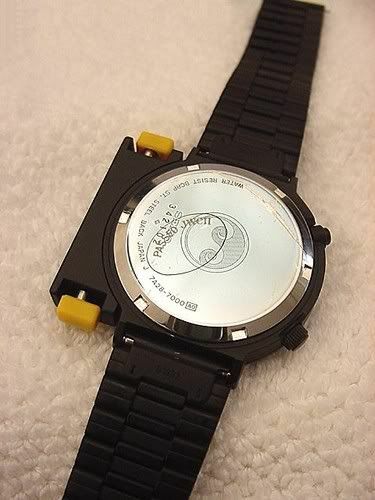 In the meantime, NOS black Aliens continue to crawl out of the woodwork (or should I say from the ducting on Nostromo). 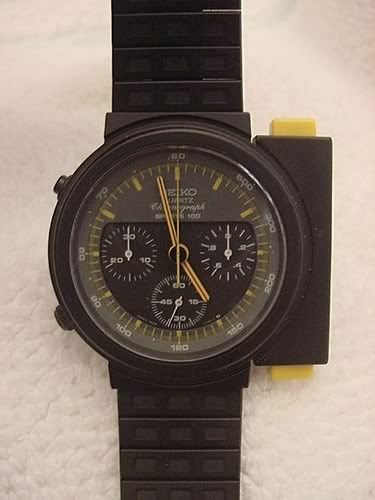 Here's yet another one: http://www.ebay.co.uk/itm/150777916975 - with a Buy-it-Now tag of $1400 (approx. £883.62). 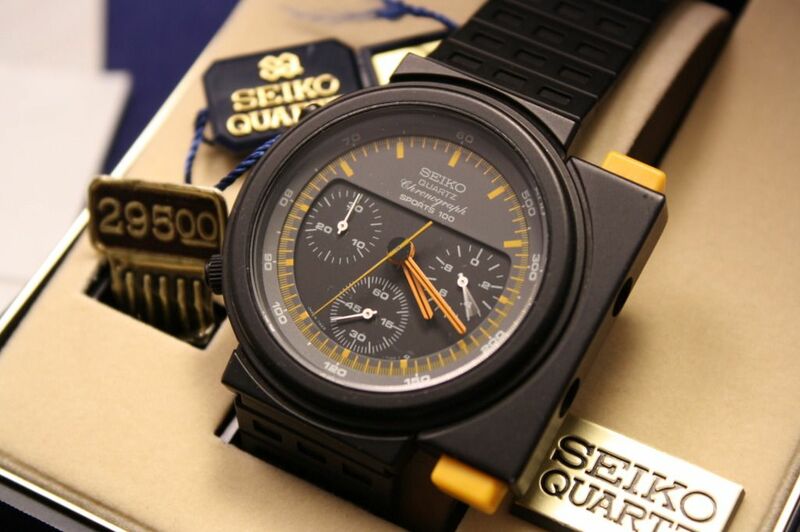 Very rare Seiko 7A28-7000 Alien Black in new condition with box and tag! If you'll pardon the expression - Rare my arse ! 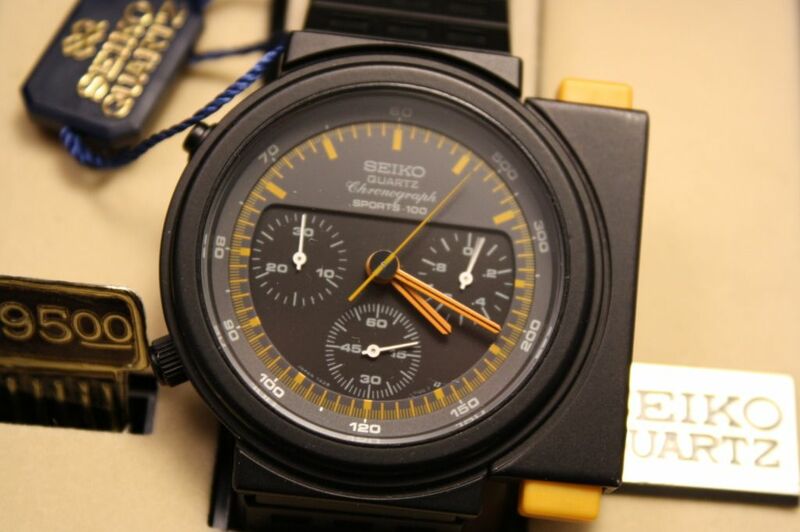 I don't want to drag this thread on forever, because if you follow Seiko 7Axx's on eBay even remotely closely, by now, like me, you'll have come to realize that black 7A28-7000 'Aliens' are anything but rare. Yet would-be sellers continue to ask prices bordering on the ridiculous for NOS examples. 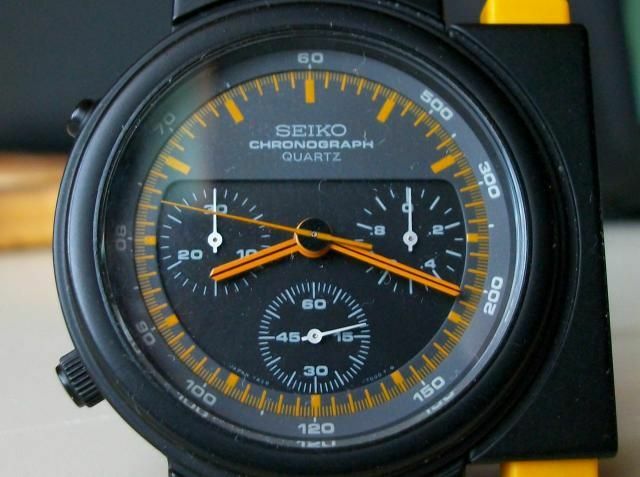 There's currently one on eBay in Italy with a Buy-it-Now price of 1500 Euros (approx. £1200). 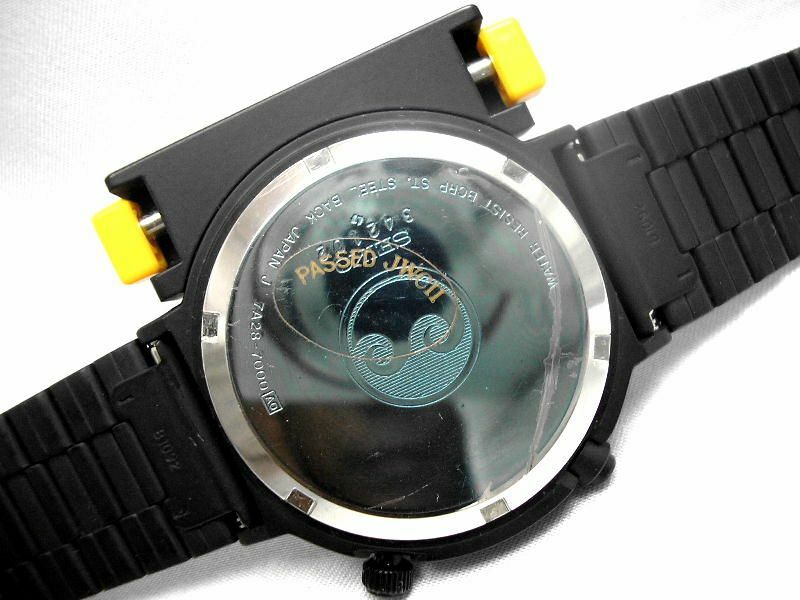 No, why I thought I'd give the thread one last bump is that hack_watch's example was relisted yet again and finally sold yesterday. 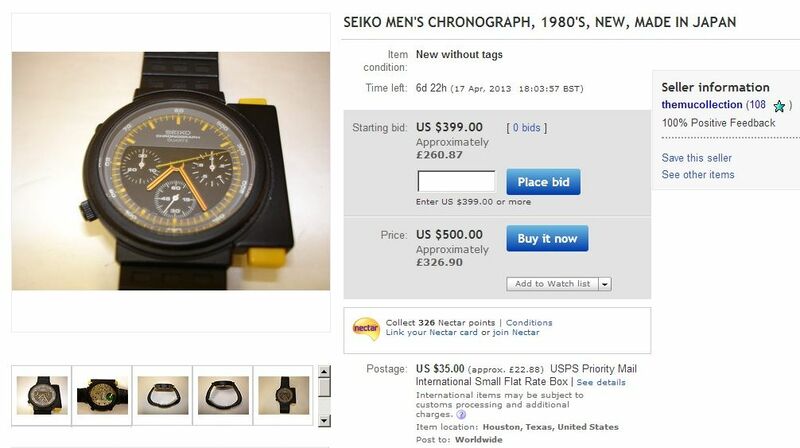 This time, he started the bidding at a more sensible $495. Over the 10-day listing it got only 5 bids, making $610 (approx. £383). The serial number 342102 matches. Over the 10-day listing it got only 5 bids, making $610 (approx. £383). 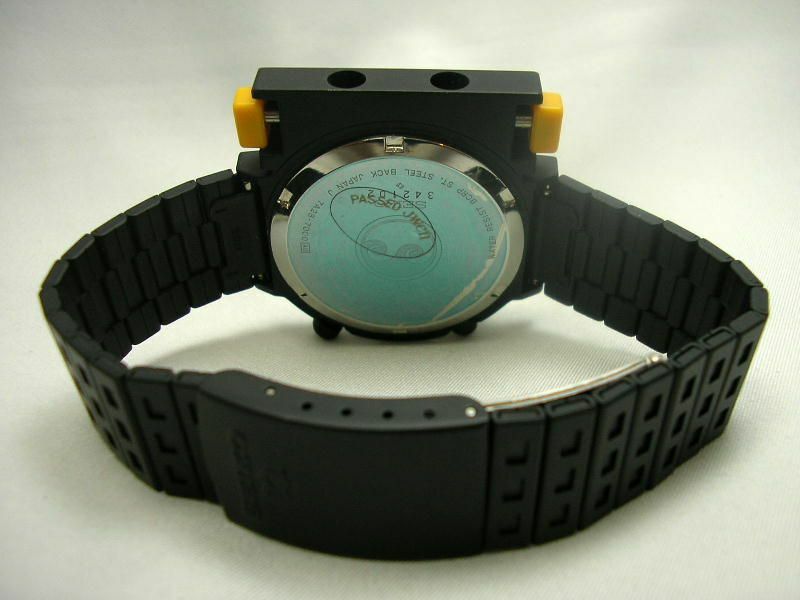 The would-be re-seller 'yamanoteeede2006' has set an optimistic opening bid price of ¥70,000 Yen (equivalent to $887.24 or £571). It'll be interesting to see if he profits (on his comparatively cheap eBay purchase price) on this particular 'Coals to Newcastle' exercise, bearing in mind how relatively common Aliens and Bishops (albeit the JDM variants) appear to be in Japan. 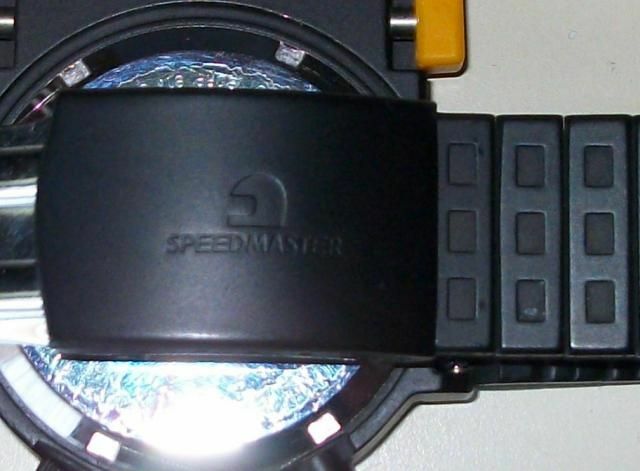 It's 'Speedmaster2005-4' and shows in abbreviated form as a***m (900). He seems to know his onions, too. 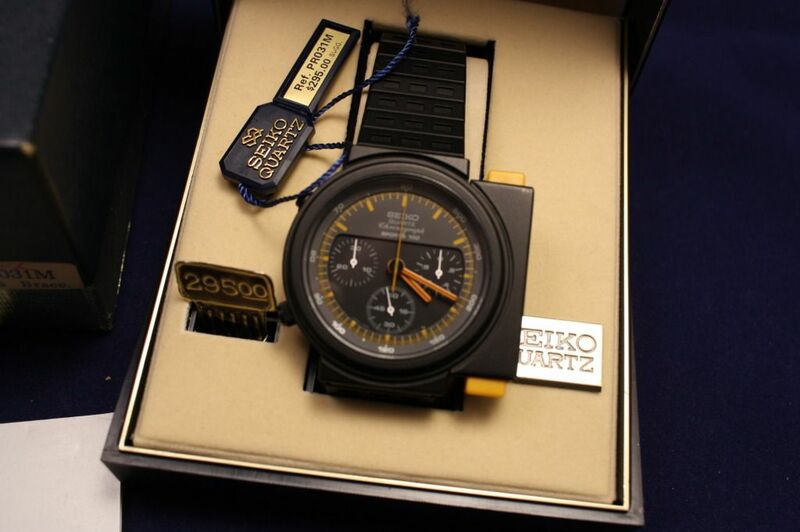 That 7A28-7000 did sell for his 70,000 Yen asking price - less than a week after he listed it ! But seeing as the original discussion was about Jeff Resnick's brace of NOS 7A28-7000 Black Aliens, I thought I'd put it here. No Trades. I haven't timed it. 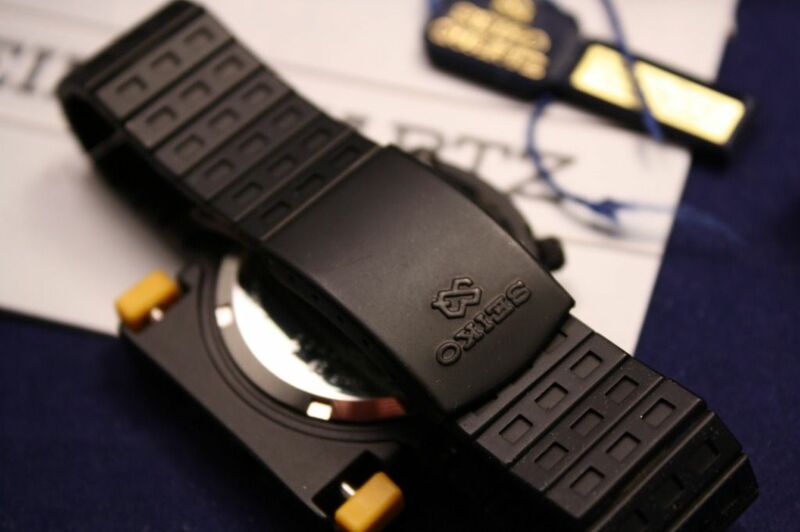 Great watch to collect and wear! Yours for a mere $1299.95 (approx. £825.77) +$59.95 shipping on top !! 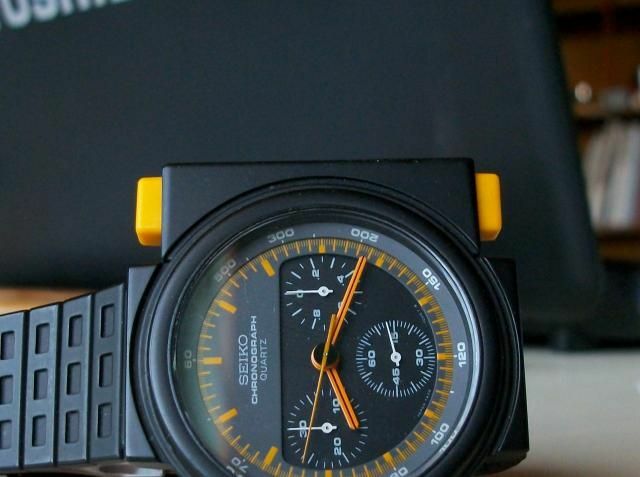 I suppose we should take into consideration that this one is actually running, unlike some of his previous offerings, and that someome presumably not Jeff, has managed to replace the battery at some point, without butchering the case-back on this occasion. 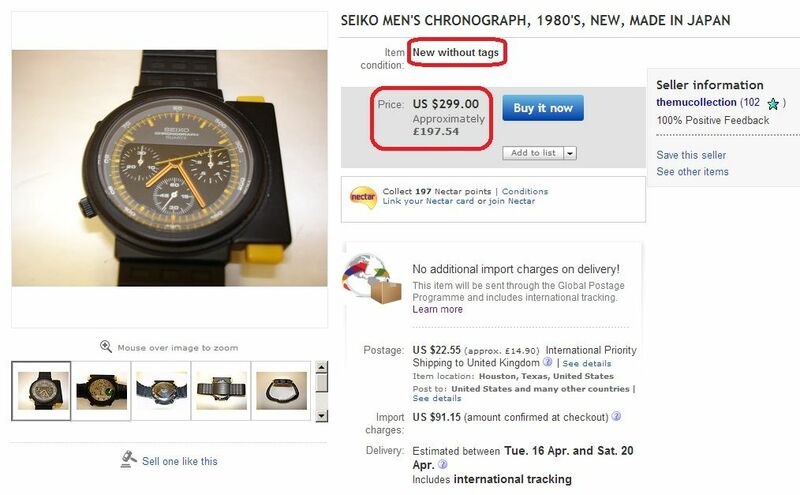 Thankfully, common sense prevailed, and it went unsold at that price. 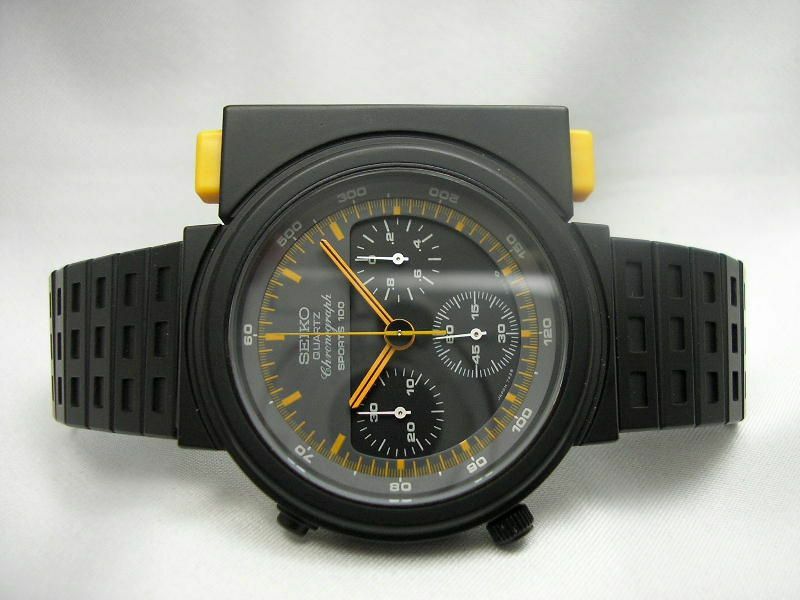 Re-listed: http://www.ebay.co.uk/itm/150886524889 - now reduced to 'only' $1099.95 (approx. £692.31) + the same $59.95 shipping. 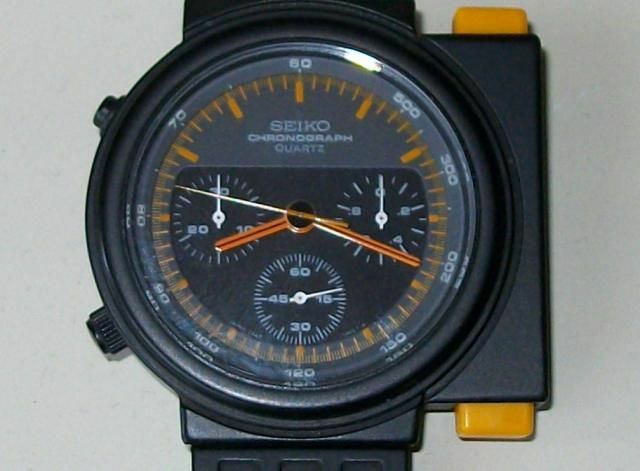 Re-listed: http://www.ebay.co.uk/itm/150891194092 further reduced to $999.95 (approx. £632.40), but postage now up to $69.95 ! That 7A28-7009 Aliens finally sold earlier today, for $919 (approx. £578.11) - still big money, for what in truth is not that rare a 7Axx. Worth checking out, possibly a fair deal considering condition. Given the title of this topic, it hardly seemed fair to add on a post about another eBay auction for a 7A28 Aliens which just ended. Rather than start another seperate 'Aliens' topic I'd thought I'd mention it here. Because this one certainly does deserve a mention. 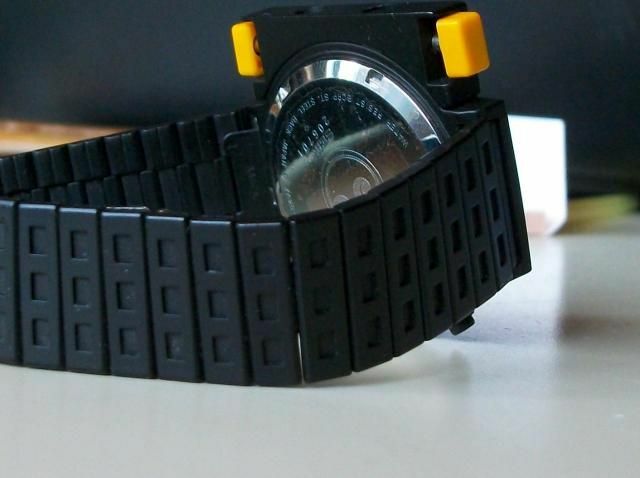 sie verbrachte die letzten 30 Jahre im Kasten, es ist am Deckel noch die blaue Schutzfolie stellenweise dran.Die Uhr weist keinerlei Tragespuren auf,sie ist mehr oder minder neu! !Jetzt der Haken an der Sache;ein Service ist durch die lange Zeit wo sie nicht getragen wurde, unbedingt erforderlich!! Im jetzigen Zustand zeigt der rechte und linke Register Funktion und der große Sekundenzeiger zuckt,ich habe festgestellt dass sich nach Wärmeeinwirkung auch der dieser "normal" bewegt.Bei dem Werk handelt es sich um das 7A28,die Uhr wurde von Giorgio Giugiaro designt,dem gutem Herren haben wir den VW Golf 1, den DeLorean und Lotus Esprit, um wenige zu nennen,zu verdanken.Leider gibt es die originale Box nicht mehr,kommt jedoch in einer neutralen geliefert. Ich möchte die so weitergeben wie sie ist, habe mit den Uhrmachern in meiner Heimat keine guten Erfahrungen,hoffe es findet sich ein Liebhaber der diesem sammelwürdigem Stück neues Leben einhaucht, denn in diesem optischen Zustand ist diese Uhr ziemlich selten,siehe Fotos. Stehe für etwaige Fragen gerne zur Verfügung. Bidding ended at 516.00 Euros (approx. £448) after 48 bids. Much of the running was made by a low feedback bidder a***s (2). The auction received 483 views over the 10-day listing period. 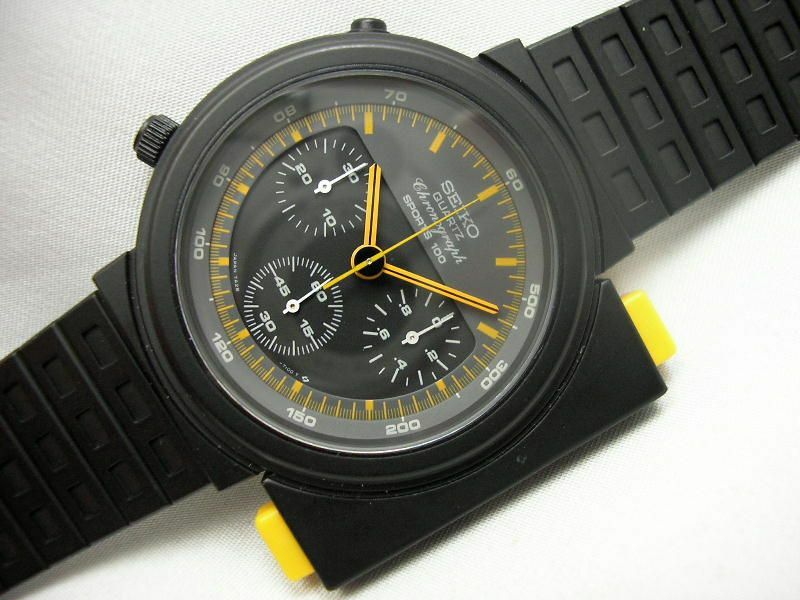 Not that these do a lot for me personally, but I'm surprised no-one has grabbed this NOS JDM 7A28-7000 Aliens already. And Gone ! Not surprisingly - other than it took so long for someone to hit the button. I thought that was too good to be true. It was as it turns out. Looks like the seller reneged on that give-away-price Buy-it-Now sale @ $299. I bet somebody out there is upset. It's back once again, this time with an opening bid of $399, or Buy-it-Now of $500.